210 pages | 6 B/W Illus. Expanding on the work in the volume Multiplayer, this new book explores several other areas related to social gaming in detail. 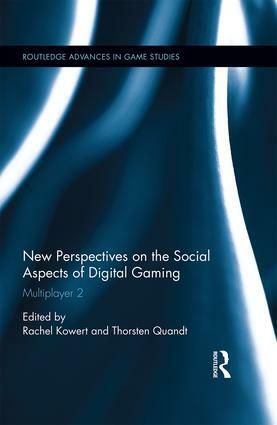 The aim is to go beyond a typical "edited book" concept, and offer a very concise volume with several focal points that are most relevant for the current debate about multiplayer games, both in academia and society. As a result, the volume offers the latest research findings on online gaming, social forms of gaming, identification, gender issues and games for change, primarily applying a social-scientific approach. Thorsten Quandt holds the chair of Online Communication at the University of Münster, Germany. Rachel Kowert recently completed a Post-Doctoral Fellowship at the University of Münster, Germany. Games studies is now firmly established as a popular, important and significant area of study in the academic world. Bringing together theories and thought from a wide range of disciplines, this series features cutting-edge research addressing the major issues in game studies today.